Pyrosoft’s portable fire simulators teach students and employees how to properly assess fire hazards and extinguish them without ever lighting a real fire. Using Pyrosoft’s Classroom multimedia training tools, they learn the basic elements and classes of fire, how to evaluate and safely approach fires and how to effectively extinguish or escape – using state-of-the-art fire simulation software. Easy to set up and simple to use, Pyrosoft’s fire simulators utilize actual fire video footage superimposed on custom backgrounds. Just photograph digital images of your workplace equipment and load them into our Video Studio Editor. Set the location and size of the fire. Use the editing tools to place fire in front of, behind or inside objects. 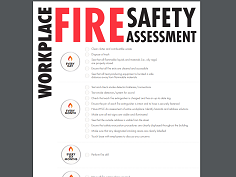 Click record to save your workplace fire scenes so employees can practice on equipment they work with everyday. 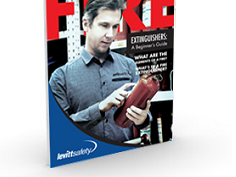 At the conclusion of this training, participants will have a basic understanding of the operation of a fire extinguisher, with an emphasis on extinguisher types, sizes and classes. 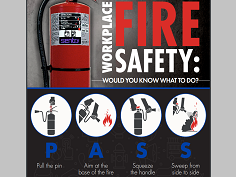 Supervisors, maintenance and engineering personnel, or any worker who as part of their job, need to be aware of the operation of a hand portable fire extinguisher.